It’s safe to say that as moms we all have guilt at different points in our parenthood journey. With my first pregnancy with our daughter I wanted to have skin to skin as soon as she came out. I had watched this amazing video during our birthing classes of a baby being placed on a mother’s chest and he squirmed and wormed his way to nuzzle up and nurse for the first time. However, life just didn’t work that way. I was induced and was in the hospital for three days before I finally had her via a c-section I was knocked out for. Not to mention she was taken straight away to the NICU for observation. And I spent the next 18 hours vomiting my brains out (I was super hungry during labor, and I regretted every single peanut butter sandwich I requested!). So, needless to say it didn’t go as planned. I nursed and pumped and supplemented for 8 weeks and then had to have my gall bladder out. I didn’t have enough of a supply up to go the recommended amount of hours “pumping and dumping”. And I felt really, really bad about that. I also had to have surgery on both of my wrists when she was just six months old. And it was painful to nurse in the beginning, it really hurt my hands horribly. I remember calling one of my closest friends and pouring my heart out to her about how guilty I felt. I felt horrible. I didn’t have a supply built up because I wasn’t getting enough milk in general. I mean breast milk is the ONLY way to go right!? I was overly anxious about the whole situation, which I learned also affected my supply. I was so worried I was messing up by not getting enough breastmilk. But, she encouraged me to me to make my own decision, not to let others influence my decision. And that was my first moment of realizing how vulnerable we are as mothers. Especially first time mothers. And, I decided to stop nursing, and to go to formula. Because the anxiety I was experiencing just wasn’t worth it to me. It was a very similar situation to my son. I was hoping to finally have my “experience”. Well, we all know that didn’t happen! And I was encouraged to pump, because nursing wasn’t an option. We needed to be able to measure every single drop that went into my little man’s belly. So, I pumped. And again I was super anxious, but I kept pumping and pumping. And then we found out about his heart problems, and right when I thought we had settled into what would be a short NICU stay for growth quickly turned into more. And scared me to death. Again, I made that same phone call to the same friend- except this time I was more confident in my choice as a mom. Being a mom is already scary and we already put a lot of pressure on ourselves to be the best mom we can be. And when it comes to picking the right formula for our babies we want to choose what’s best, right? There are so many options out there it can seems overwhelming. A lot like our choices in the grocery store as consumers. We get to pick what we feed our families and our grown children- why are babies any different? My husband told me about this email he got from Similac. And I won’t lie, I was a little upset. It’s one more label to really make a mom feel like any other formula is the “wrong” one. Because the other ones have something this one doesn’t- GMO’s. It’s one more label that can be so confusing for anyone, let alone a new mom. It’s been on my mind for a few days now. The whole concept. The whole idea. How a mom will walk down the formula aisle, maybe even already feeling guilty they aren’t breastfeeding, and now they have to feel the guilt that when they choose the regular Similac Advance that they are giving their baby genetically engineered foods. 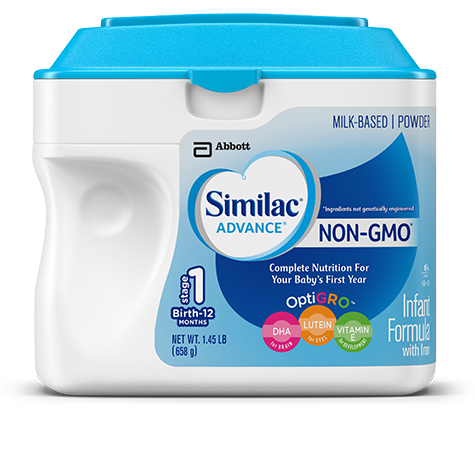 I am all about options and Similac states that this is exactly what their purpose was- to offer options to the mothers who were asking for formula that was non-GMO. And I applaud them for offering options. As a consumer and a farmer I am happy we have as many options as we do in the grocery store, but I also worry about how scary that label can look. In a world where guilt can be felt so easily and quickly, now I worry for the guilt ridden mom trying to decide on the best formula for her little one. And after I calmed down just a touch and clicked through their website I realized that Similac does a good job of telling consumers what their non-GMO formula is all about. And that makes my mom heart happy. 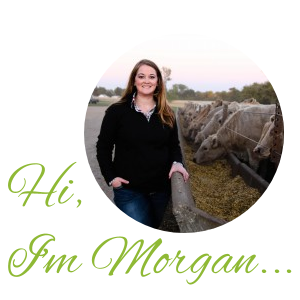 Their site is actually really great for answering questions when it comes to feeding your little one. And, it takes away some of that “mom guilt” some of might have felt or are feeling. As a farmer as more and more products start listing themselves as non-GMO it pushes me to talk even more about GMO’s and biotechnology and the benefits that they have in our food supply. To read more about GMO’s and biotechnology check out these posts I have done in the past. And please, ask questions. If it isn’t something I can answer then I will find someone who can. Previous Post: « When Did She Grow Up? !